Insanely moist Goat Cheese Pumpkin Cornbread, kissed with honey, full of pumpkin, and bursting with melty morsels of goat cheese! 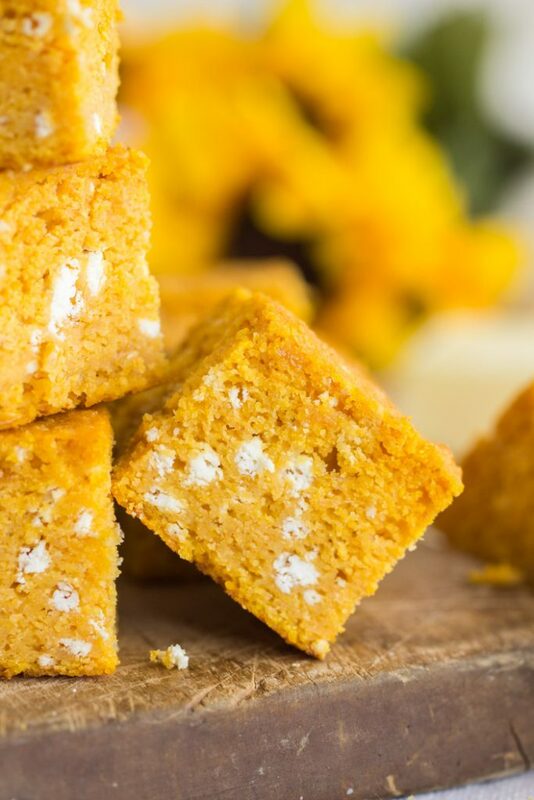 This Goat Cheese Pumpkin Cornbread features one of the BEST combos of ingredients you can find – goat cheese and pumpkin, of course. This cornbread recipe is super simple, but so moist and flavorful. 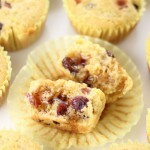 What your cornbread recipe was always missing…. goat cheese! 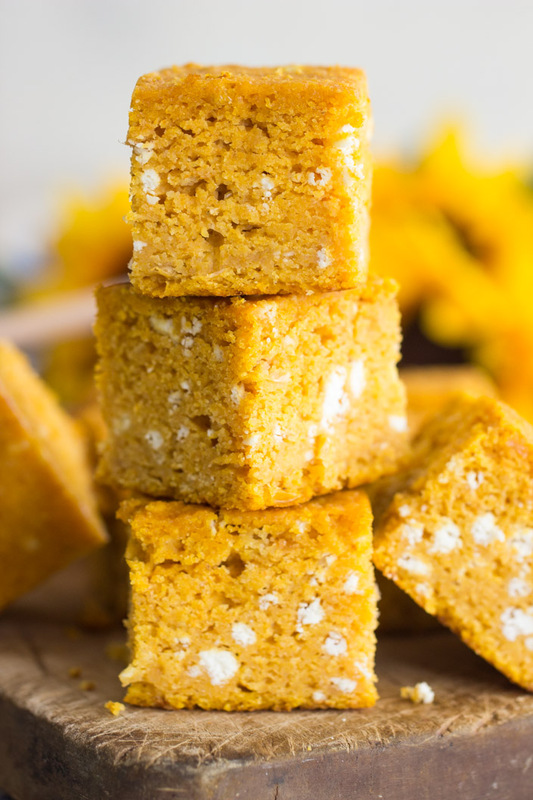 I know this Goat Cheese Pumpkin Cornbread sounds so weird, but stick with me. First of all, if your cornbread was still missing pumpkin as an ingredient, let me direct you to my Pumpkin Cornbread recipe. It’s my favorite, and I make it every fall. 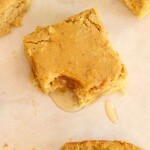 I’ve used that recipe to make this Sweet Potato Cornbread variation, and this Honey Brown Butter Pumpkin Cornbread. Btw, I’ve also made these Maple Bacon Cranberry Cornbread Muffins and this Caramelized Apple & Pecan Cornbread if you’re looking for variations without pumpkin. Anyway, I love my Pumpkin Cornbread because it’s the most moist cornbread you’ll ever try, and moist cornbread is essential! Dry, bland, choking-it-down cornbread is the worst. 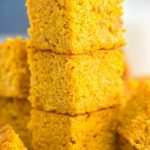 That Pumpkin Cornbread is sweetened with honey and brown sugar, rich with melted butter, and loaded with both pumpkin and creamed corn. It’s the best. Slightly sweet, pumpkin-y, and awesome. Now it’s gotten a small makeover. 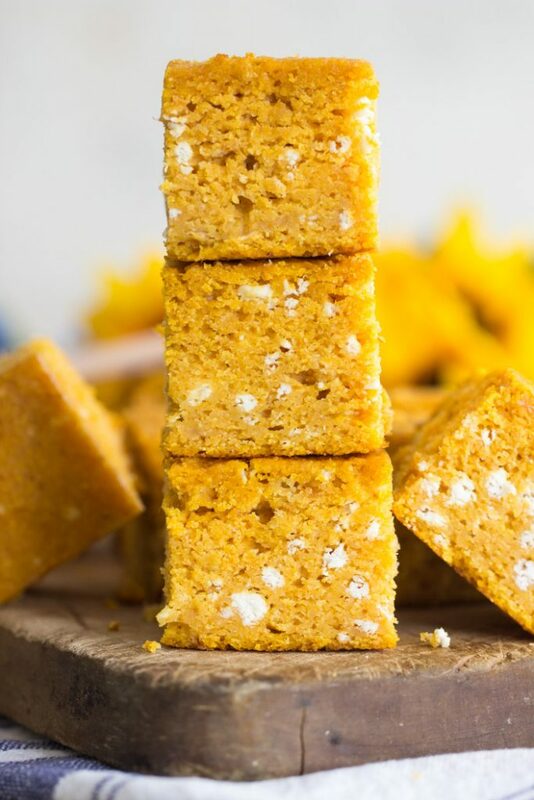 This Goat Cheese Pumpkin Cornbread was a little inspired by these Toasted Pecan Goat Cheese Biscuits. Adding goat cheese to biscuits worked SO well, and is perhaps one of the smartest things I’ve ever done. 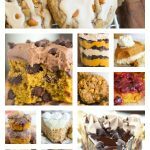 Loving pumpkin and goat cheese together as much as I do (hopefully you do too! ), it just made good sense to me to add goat cheese to my Pumpkin Cornbread recipe. 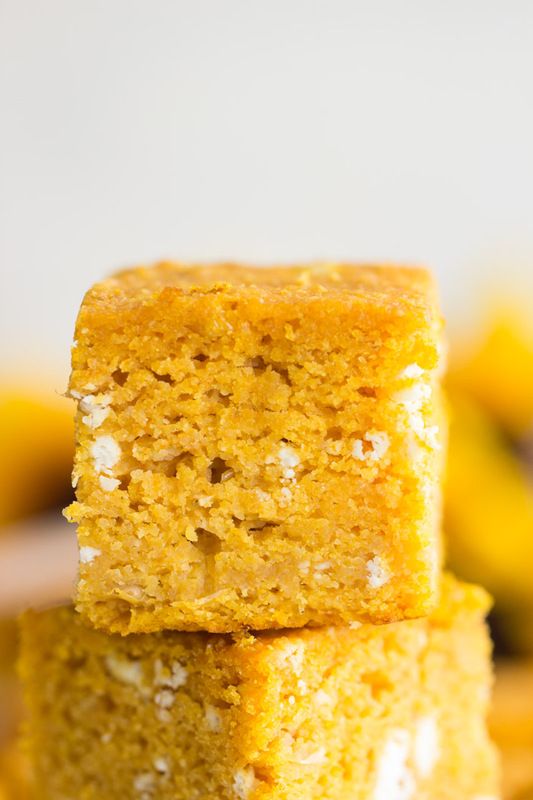 I love how this Goat Cheese Pumpkin Cornbread turned out. Sweet, moist, and pumpkin-y, like the original, but with creamy, melty morsels of goat cheese throughout. They’re such a pleasant surprise when you sink your teeth into a bite. The original recipe is mostly the same, with one or two small changes, plus the addition of goat cheese. That’s it! 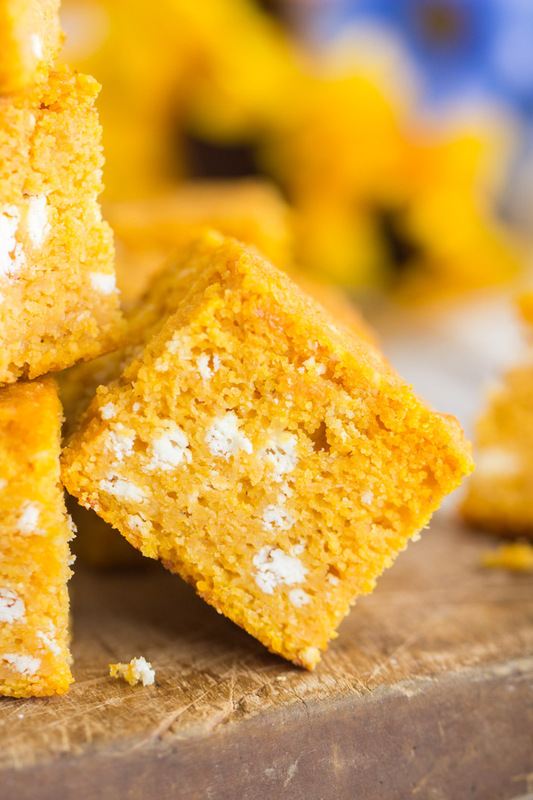 If you’re a goat cheese fanatic, give this Goat Cheese Pumpkin Cornbread a try! Insanely moist Goat Cheese Pumpkin Cornbread, kissed with honey, full of pumpkin, and bursting with melty morsels of goat cheese! 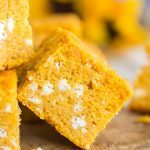 This Goat Cheese Pumpkin Cornbread features one of the BEST combos of ingredients you can find - goat cheese and pumpkin, of course. 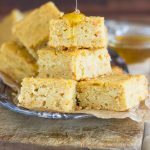 This cornbread recipe is super simple, but so moist and flavorful. In another large bowl, whisk together creamed corn, pumpkin, honey, egg, butter, and milk. Add wet ingredients to the dry ingredients, and stir until just combined. Fold in goat cheese crumbles. Bake at 400 degrees for 40-45 minutes or until edges are golden, and a toothpick inserted near center comes out with a few moist crumbs. I like to chill this cornbread for about 30 minutes after it's cooled. It gets nice, clean cuts. Without chilling, the cornbread is so moist that the pieces cut pretty unclean. Chilling just firms it up and sets it - no need to continue storing in refrigerator once it's firmed up!